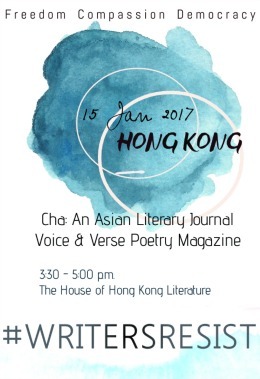 Find out more about #WRITERSRESIST in Hong Kong by clicking here. Akin Jeje, originally from Canada, now lives in Hong Kong. 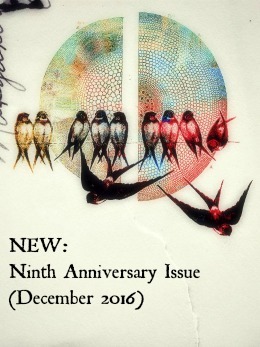 His works have been published and featured in Canada and Hong Kong. His poetry collection Smoked Pearl was a semi-finalist for the 2009 International Proverse Prize, and published by Proverse Hong Kong in 2010. 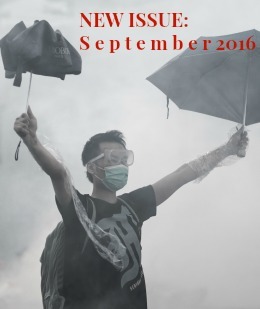 Jeje’s most recent publication was in issue 53 of New York’s Linden Avenue Literary Journal in October 2016. He is a regular performer at Hong Kong’s Poetry Outloud and previously the MC for Peel Street Poetry. 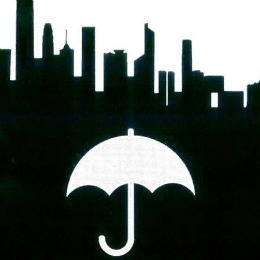 He is also an advisor to the Hong Kong International Young Readers’ Festival. Suzanne Lai is an ardent bibliophile and cinephile. She sees the world in vivid colours. With a concentration in Comparative Literature, she straddles both Chinese and English narratives with untethered imagination. Hoarding a vast collection of novels and vinyl records, Suzanne lives dangerously under a wavering tower of words and rhythm. “You can never run away. Not ever. The only way out is in,” said Junot Díaz. Suzanne still trusts that we can keep barging in unapologetically with our heads held high – to read and write relentlessly. Collier Nogues is a poet and a student and a teacher who moved to Hong Kong from California in 2013. She’s especially interested in how poetry intersects with politics and activism. Her books of poetry are The Ground I Stand On Is Not My Ground, selected by Forrest Gander as winner of the 2014 Drunken Boat Poetry Book Contest,and On the Other Side, Blue (Four Way, 2011). She teaches creative writing at Chinese University of Hong Kong’s MA in Literary Studies programme, and was the 2016 Writer-in-Residence at Lingnan University. She’s also a PhD Fellow at the University of Hong Kong, where she studies contemporary poetry’s response to US militarization. Last year she collaborated with several Hong Kong poets and a Canadian poet on a digital bilingual project about Hong Kong’s political future. 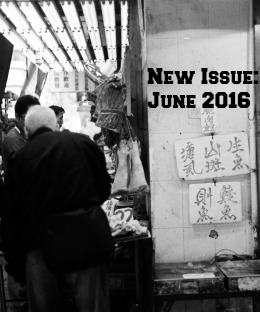 She co-edits poetry for Juked, and curates Hong Kong’s English-medium poetry craft talk series, Ragged Claws. Michael O’Sullivan is a writer, teacher and critic living in Hong Kong and an associate professor at the Chinese university of Hong Kong. If asked what he is passionate about, he would say preserving, practicing and promoting space for creativity and imaginative self-expression that harnesses and nurtures human potential through the play of enchantment and inspiration in word, music and image. For him, this space is often constrained by political realities. Engrained institutional inequalities mean not everyone has the opportunity or conditions for being able to discover this space and this creative passion for discovery and enquiry. This elicits another form of passion in him. Resisting strategies of exclusion that his institution might also serve to perpetuate is something he is also passionate about. Resisting – through the tools of his trade and through sharing and collaborating with like-minded people – misreadings of philosophers such as Marx and resisting political movements that deny other cultures and peoples their right to prosper and self-determine are yet more things he is passionate about! His recent book is Academic Barbarism, Universities and Inequality. Jason S Polley is associate professor of literary journalism, postmodern literature, and poststructural theory in the English Department at Hong Kong Baptist University. His research interests also include post-WWII graphic forms, media studies, and contemporary Indian fiction. But he prefers to skateboard, scuba dive, and harangue lap sap chungs. Tegan Smyth is a former lawyer, aspiring writer and regular at Peel Street Poetry. She draws inspiration for her writing from current affairs, culture, politics and identity. When she isn’t writing or at her day job, she organises community events through Hong Kong Community Connect. She is also currently working on a food project with refugees and asylum seekers in Hong Kong. Lian-Hee Wee became a phonologist when he failed as a syntactician, which followed his failure as comedian, and before that, musician. His latest failure is at veganism. However, his failures are categorically indistinct from current passions since he hasn’t given up trying, tinkering and finding solace that any non-success is material for humour. His political views are naïve because for him RIGHTS & RESPONSIBILITIES apply to all sentient beings, even if they have a predator-prey relationship. Democracy is one of many ways to safeguard these rights, and Lian-Hee is angered that despite centuries of sacrifices, hallowed grounds continue to be trespassed, freedoms stolen and rights robbed. When will we be ready to debate, explore models more effective than democracy with regards R&R? It should be evident that Lian-Hee is confused on the boundaries between fury and funny. Jessica Yeung is Associate Professor of Translation at Hong Kong Baptist University. She teaches courses on Translation and Intercultural Studies. She was born and bred in Hong Kong, and therefore has never had any experience of political self-determination. She is very curious as to what that might feel like. Her intellectual engagement has always been inter-cultural relations in the contexts of power differentials. She previously researched on representations of Chinese culture in the West, but since she realised that the post-colonial paradigm was no longer useful for describing the relationship between China and the world, she shifted her focus to cultural representations of the Uyghurs and the Tibetans under Chinese rule. 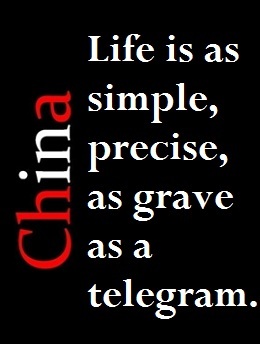 She also studies independent Chinese cinema and contemporary Chinese literature, and creates her own theatrical works. She is committed to the principles of freedom and autonomy, and believes animals are entitled to exactly the same rights as human beings are. 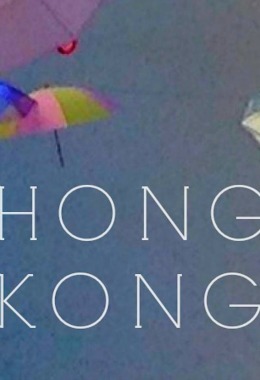 This entry was posted in Akin Jeje, CHA, Collier Nogues, Jason S Polley, Jessica Yeung, Keith Liu, Lian-Hee Wee, Literary Events, Literary Events in Hong Kong, Louise Law, Lut Ming, Media, Michael O'Sullivan, Runyu Huang, Suzanne Lai, Tegan Smyth, Tim Kwan, Uncategorized. Bookmark the permalink. 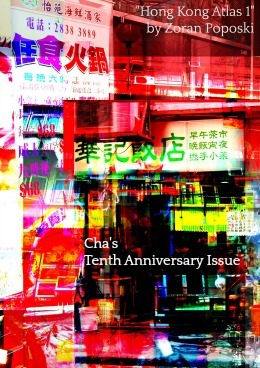 Issue #34 of Cha is HERE.